"I am now on my third Phoenix trailer and could not be more happy with the product. I have never had one problem with any of my trailers. I travel the world as a professional water-skier and am always trailering my boat. I am always impressed at how easily I am able to load and unload my boat without having to readjust the trailer in the water or even come in at the perfect angle. It just works. On top of all of that, the way the boat is perfectly balanced on the trailer makes for easy towing when I am on long-distance trips to where I can barely even notice the boat is behind me. I am overly impressed with the product from Phoenix Trailers and would certainly recommend them to any boat owner out there." "We have been in the boat and trailer sales business for 52 years. That's 52 years of dealing with marine manufacturers, and I would put Phoenix Trailers in the top of the pack of all that we have dealt with. Exceptional quality product, exceptional price, exceptional service, and most of all, exceptional people to do business with. Very proud to represent Phoenix Trailers." 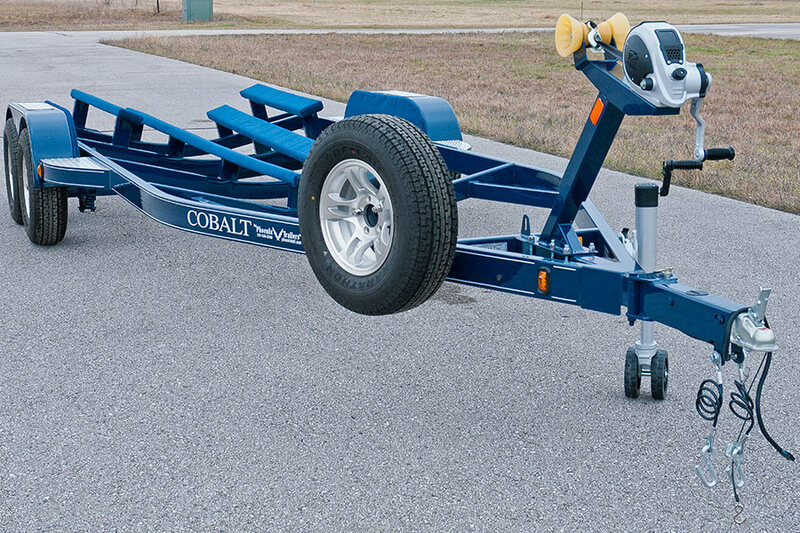 "Phoenix trailers have far surpassed our expectations for a durable, reliable, well-built and great-towing trailer we can pass on to our customers with pride. We have been through countless trailer manufacturers throughout our 49 years in business and none have stood up to our quality standards like Phoenix Trailers. Customer service is by far the best we have experienced in the marine industry from any manufacturer, whether it be boat, engine or trailer. Phoenix Trailers go above and beyond our expectations for great service. A big 'thanks' from all of us at Sportsman Center!!!" "We have been a Phoenix dealer for just over a year. We have been very pleased with the quality of trailers we get when we order a Phoenix. We always know what we are getting with Phoenix. Phoenix Trailers is always more than helpful with any questions we have. Everyone has truly been a pleasure to do business with." We have projects spanning from trailers painted to match your boat to trailers built to carry airplanes, and everything in between. Not only are they the top of the line in fit and function, but our finishing details make them stand out! Check out our gallery to see what exactly Phoenix Trailers is capable of creating for you.